Can you use your TFSA account to make extra monthly income? TFSA (short for Tax Free Saving Account) was introduced in Canada in 2009, allowing each individual (18 years of age or older) to save up to $5,500 per year and earn interest on their money, without having to pay any taxes on the earned interest. TFSA can be a great source of a secondary income. As of 2013, the maximum annual amount has been bumped to $5,500. So in theory, if you were to max out your limit every year, you would now have $31,000 in a TFSA account and not be paying any taxes on any earned interest. As a couple, that is up to $62,000. With saving interest rates sitting around 1.5 to 2%, you could make up to $1240 in interest annually and not pay any taxes. That is not a terrible amount after all, considering that we are at historical lows when it comes to interest rates. Imagine how much more can be earned when interest rates inevitably start to climb back up. But even at these historical low rates, a couple can expect upward of $100 per month in income from tax-free interest on their savings. That is enough to pay for a bill or two. But it gets better. 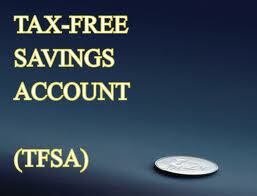 Despite all the confusion surrounding TFSA, it is not strictly a savings account. It can be used for a variety of other investing purposes. For example, just like an RRSP, you can use your TFSA to buy GICs, mutual funds, stocks, bonds etc. And whatever you earn from these investments, will be tax-free. As long as you stay within your annual limit. Assuming TFSA are here to stay and their annual limit increases to account for inflation, you could be looking at a more potential income in the future from these tax-free accounts. For example, in 10 years, TFSAs will have been around for 15 years. For a couple, that could mean some $160,000 in a saving account, generating tax free interest income. Assuming an interest rate of 5% , this could mean some $8,000 in extra income every year, from interest alone, or some $650 or more per month. That is a significant amount as a second source of income. And if you account for compounding interest and other money gained from investments made within your TFSA, you could be looking at a lot more cash flow from your TFSA, without having to pay a single penny in taxes on them. Lesson to take away from all of this? Make use of your TFSA. Even if you can’t max it out, this is the beauty of it: you can always catch up later. Your contribution room never goes away. You can always add to it later. Just remember to be careful and not over-contribute or lose track of how much room you have left.